Marcel Danesi is professor of semiotics and linguistic anthropology at the University of Toronto and the Director of the Program in Semiotics and Communication Theory at Victoria College of the same university. 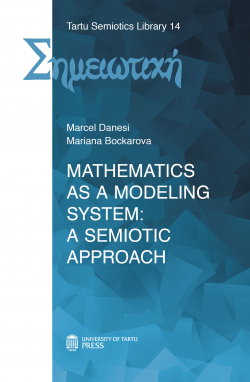 He is also co-director of the Cognitive Science Network of the Fields Institute for Research in the Mathematical Sciences at the University of Toronto and Editor-in-Chief of “Semiotica”. Mariana Bockarova holds a master’s degree from Harvard University and is currently completing her PhD at the University of Toronto. She has published in the fields of semiotics and the cognitive science of mathematics and is developing a model of expressive writing that blends ideas from psychology, applied linguistics, and semiotics, in order to understand the relation between discourse and emotions.